Ladies and Gentlemen, in case you haven’t already seen the signs Star Wars fever is upon us and it’s looking to get a whole lot bigger this holiday season. With the recent launch of Disney Infinity 3.0, the upcoming Star Wars Battlefront game and Star Wars: The Force Awakens hitting theaters in December it is honestly the best year to be a Star Wars fan. So it looks like September, November and December are all covered with fantastic Star Wars stuff, but what about October? Are we really going to go a whole month with nothing to fulfill our Star Wars pallet? Well it looks like that is no longer the case thanks to EA. It was just announced that the Star Wars Battlefront beta for PlayStation 4, Xbox One, and PC, will be released in "early October." It's uncertain as to how players will be able to get invited into the beta but I’m sure we will find out soon. Along with the release window gamers who play the beta will see a new mode titled Drop Zone for the first time. Not much is known about this new mode but details will be reveled in the upcoming weeks leading to the beta launch. 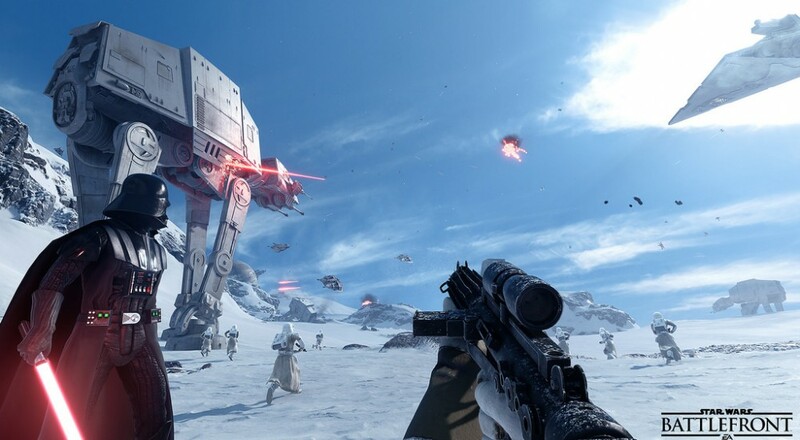 In addition to Drop Zone, the beta will include two other modes with one of them being Walker Assault which will set players up on Hoth, in a 40 player multiplayer map complete with ground and air vehicles. The other mode will be a cooperative mode called Survival Mission which I’m sure the Co-Optimus community is extremely excited about. 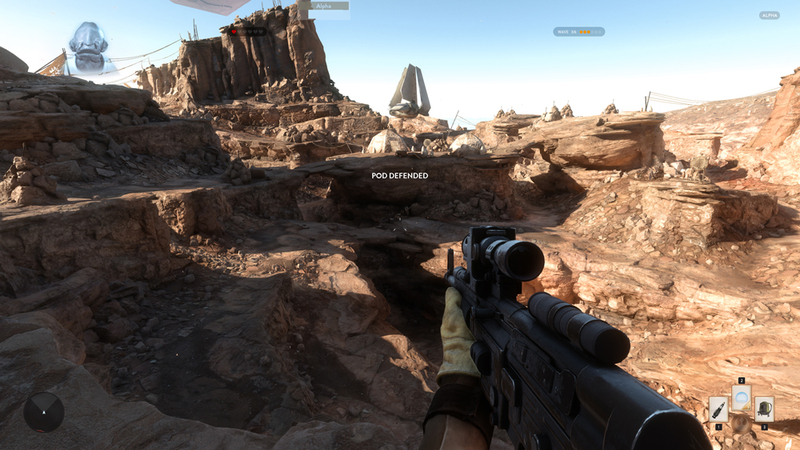 The Survival game mode will put two players on Tatooine as they must defend against waves of oncoming soldiers. Now if that wasn’t enough Star Wars for you EA will also be launching a Companion app alongside the Battlefront beta titled The Star Wars Battlefront Companion. It features the strategic card game Base Command, and lets you earn in-game Credits that unlock cards, weapons, and more in Star Wars Battlefront. In all honesty this feels like EA trying to put a positive spin on what is easily going to be used as a way to put microtransactions into Battlefront without the average gamer knowing. Nonetheless I’m intrigued to see how it plays out. Just remember that like most video game betas player progress, characters and achievements will not transfer over to the the full version of the game when it launches.